“Real Breaking News!” India’s leading cGMP offender has now imported their deviant behaviors to its sterile products USA facility! Wochardt has been the subject of huge recalls and import bans by FDA over non-compliance of cGMPs, and now the FDA is apparently quite upset that Wochardt is not adhering to its stated commitments for remediation. As background, a January 2016 report in Fierce Pharma regarding FDA Form 483 Inspection Report identified 9 serious cGMP violations at Wochardt’s “state-of-the art” sterile injectables facility in Shendra, Aurangabad, India. Now just a year later, we learn Wockardt is again reeling (or otherwise) with a totally different and scathing FDA Warning Letter for its Morton Grove Pharmaceuticals’ sterile products facility in Illinois. One wonders why and how transcontinental deviant cGMP practices and violations are so freely crossing borders now, even flowing INTO American manufacturing sites under the control of foreign owners! Maybe we need a stronger and taller wall of compliance at the border! As usual, the FDA heavily redacted the names of involved drug products and drug substances. Still we wonder WHY. But FDA left a few hints on these very widely distributed prescription products: triamcinolone acetonide lotion and fluticasone propionate nasal spray. If these drugs are currently in your medicine cabinet, you would do well to read on and see the FDA Warning Letter. “At this time, seven Wockhardt facilities (including Morton Grove) are considered out of compliance with CGMP. These repeated failures at multiple sites demonstrate your company’s inadequate oversight and control over the manufacture of drugs. In your responses to the various actions listed above, including during multiple meetings with FDA, you have repeatedly discussed and promised corporate-wide corrective actions. 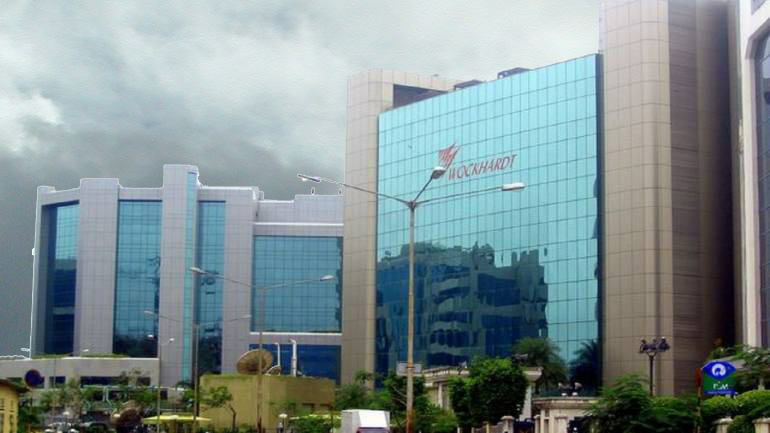 Yet, when FDA inspects or returns to other Wockhardt facilities, similar violations are shown to persist. So… What’s in YOUR Medicine Cabinet?? Deficient, non-compliant Wochardt prescription products? Now you can act on similar flagrant cGMP deviations and violations! The U.S. Department of Justice is authorized to pay whistleblowers – pharma workers and executives with inside knowledge of cGMP violations – an award of up to 30% of whatever the government collects from wrongdoers. We know that most pharma employees are hard-working, conscientious people that truly care about the industry and patient safety. We also know that receiving a large cash award potentially in the tens of millions of dollars is necessary to help those workers who do come forward to get a fresh start. Our goals are simple: stop contaminated and questionable potency pharmaceuticals from entering the US commerce stream and reaching patients, and restore integrity to our profession and industry. We want to precipitate “the beginning of the end” of cGMP violations from manufacturing of America’s Pharmaceutical products anywhere in the world, and move to a future of sustained dependability and full trust in pharmaceuticals for health and healing. It’s all about why and how we grew our careers in the Pharma industry, to help people, and the only way we know how to practice our CM&C craft. Please read the original Fierce Pharma article on Wochhardt and Morton Grove Pharmaceuticals.